If you have ever dreamt of a walk through a scene that seems to have come alive from a renaissance painting, Portugal is where you should be. The Portuguese Way or the Camino da Costa as it is popularly known, is an alternative route to the famous Camino de Santiago. One of the most celebrated pilgrimage routes of the world, The Portuguese Coastal Way is also quite scenic.The Portuguese Coastal Way originates in the colorful Porto and passes through the seaside towns and villages of North Portugal after which a ferry awaits to take you to A Guarda, Galicia and also the heart of Rias Baixas. The sandy beaches of Northern Portugal and Atlantic beauty of Galicia fills up your senses along The Portuguese Coastal Way. The Portuguese Coastal Way starts from Porto and passes through cities like Lisbon, Pontevedra and the most important pilgrimage town of Tui. Celebrate freedom as you hit the sandy beaches of Sanxenxo, Cies islands and Baiona which was the first place that got to know about the discovery of America when Columbus hit its shore. All along the way, be sure to gorge on local delicacies which are predominately gourmet seafood. The various hotels such as casa rurales, pensiones is where you can stay at while enjoying local food and drinks and the scenic beauty. When you are strolling along the Portuguese Coastal Way on your trip to Portugal stop by the various old books shops in Porto and Lisbon. Irrespective of whether you are a book lover or not, you are going to fall in love with the charming set up. The various cartels selling rosaries and Roman Catholic curios are also a collectable. In Galicia, wine and seafood are a must have on your travel to Portugal. Pontavedra sells amazing food and most definitely local art. Tui is a quaint pilgrim town that attracts tourists by the hordes. Be sure to be overwhelmed by the intensity of peace that overlooks the supreme serenity that is the imbibing vibe of the place. A walk along the Portuguese Coastal Way is a must do when you are visiting Portugal. It throws open infinite surprises of pleasure at each step and leaves you filled to the brim with contentment. The Portuguese Coastal Way is quite scenic and one of the most celebrated pilgrimage routes of the world. 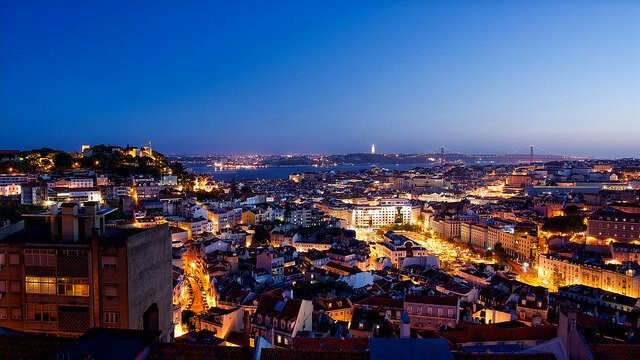 Plan your trip to Portugal now!